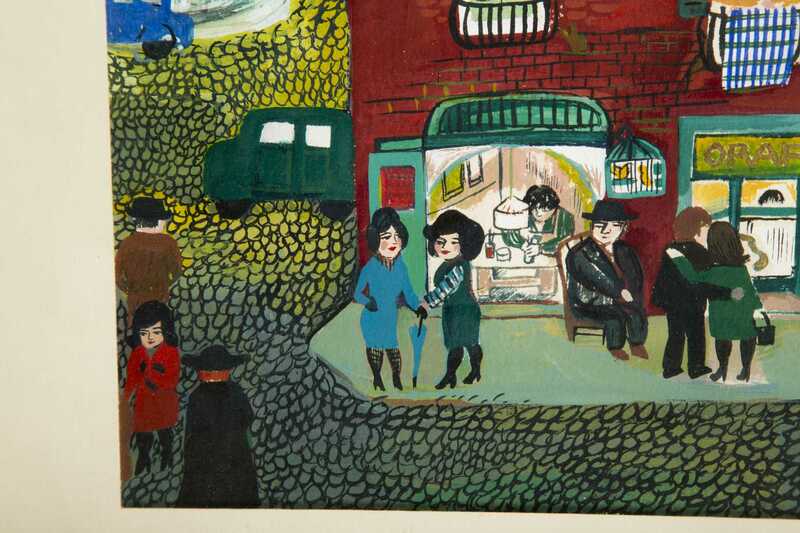 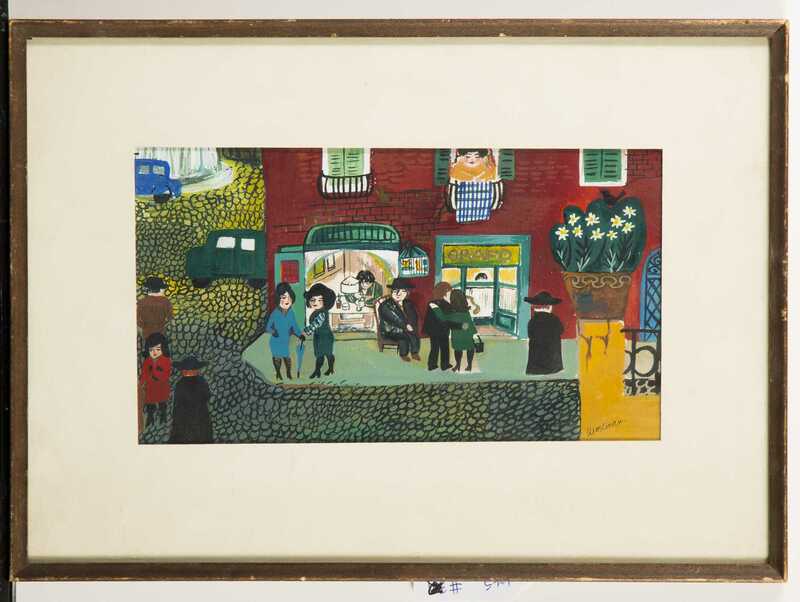 Barbara Westman, American (Born 1929) Lot of five original pieces, A) Painting of Roman street scene, signed lower right, "Westman", matted and framed under glass, 11" x 6 1/8" sight. 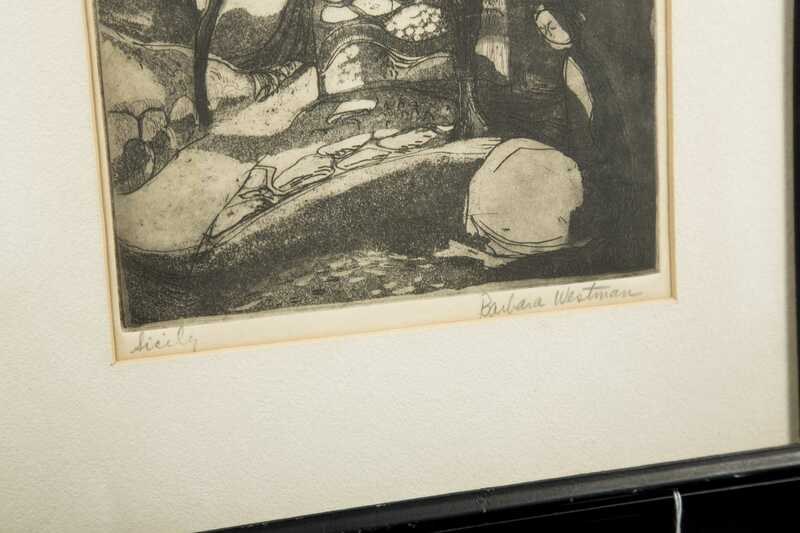 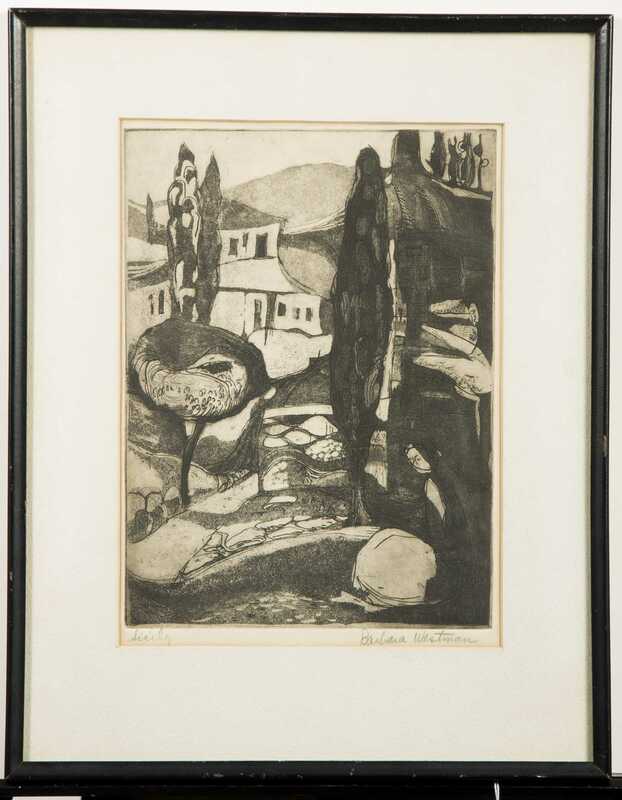 B) Drypoint print titled "Sicily", signed lower right, "Barbara Westman", matted and framed under glass, 8" x 10 3/4" sight. 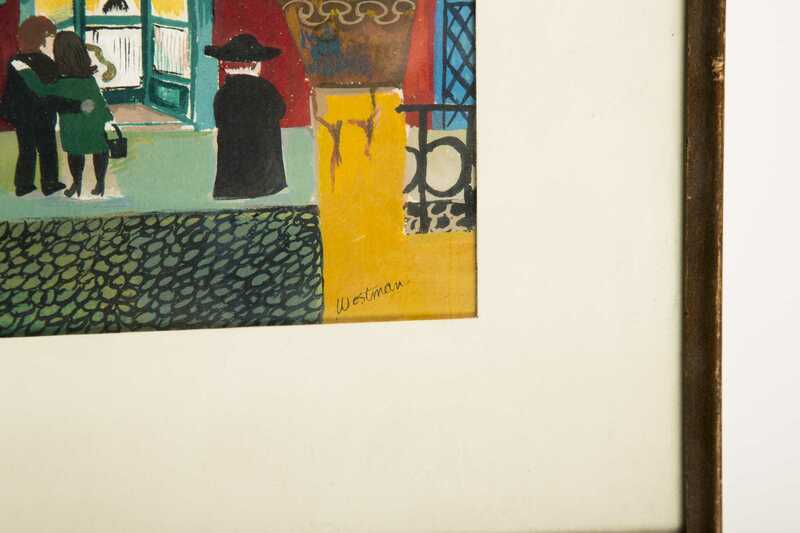 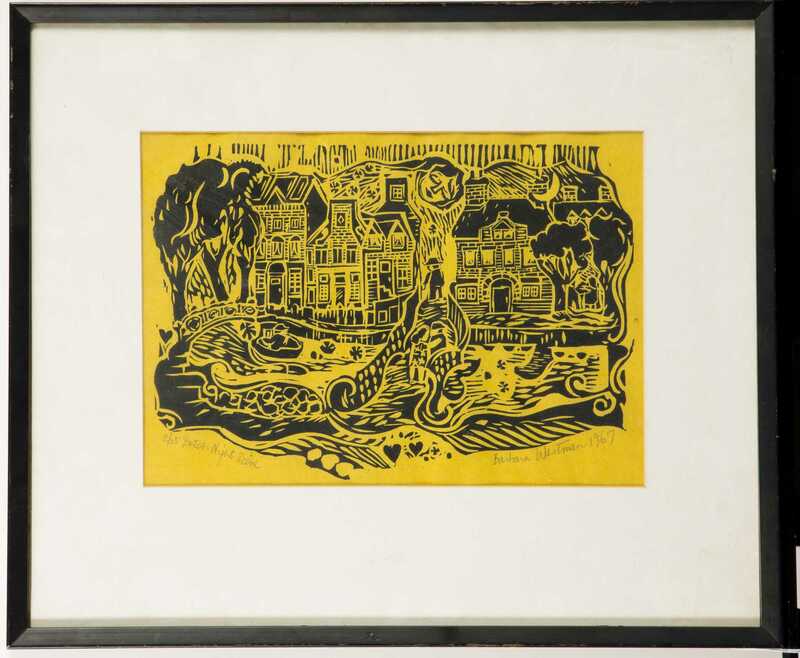 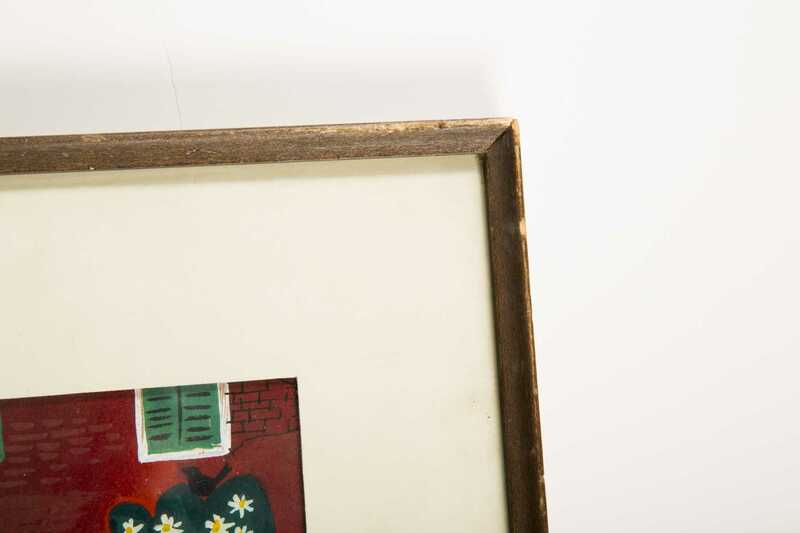 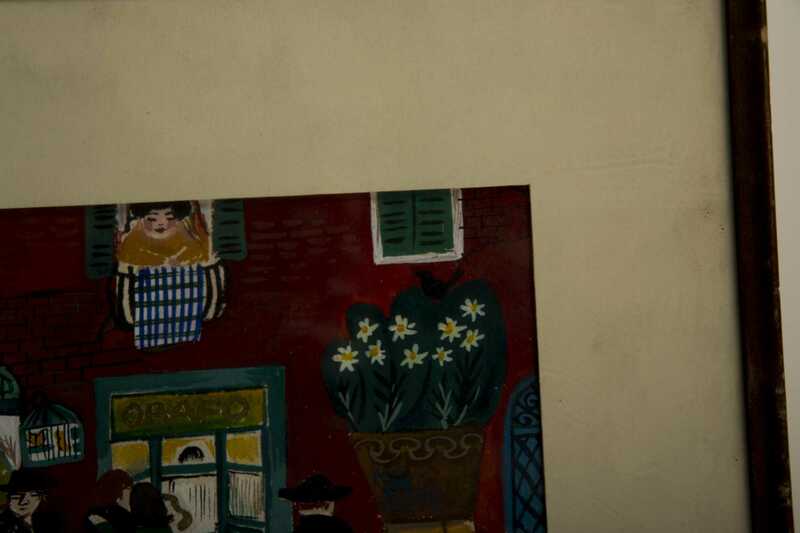 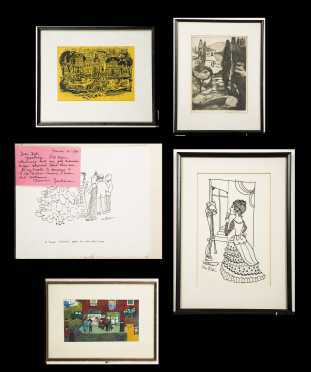 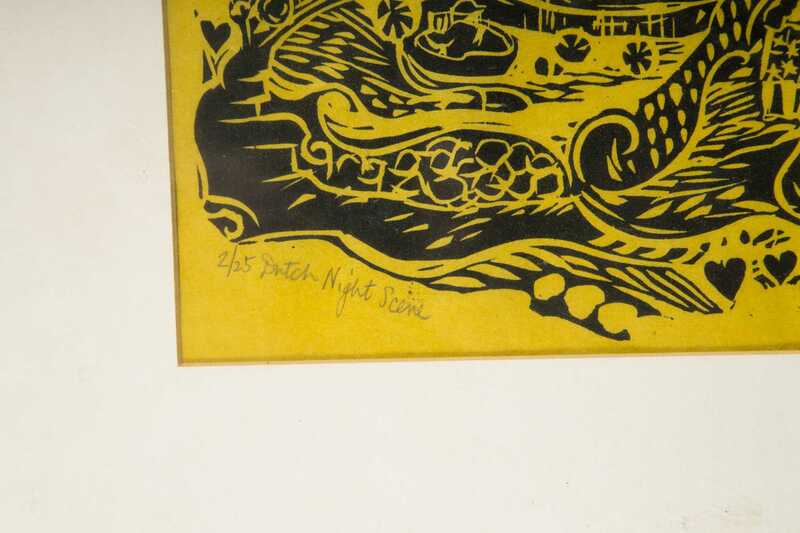 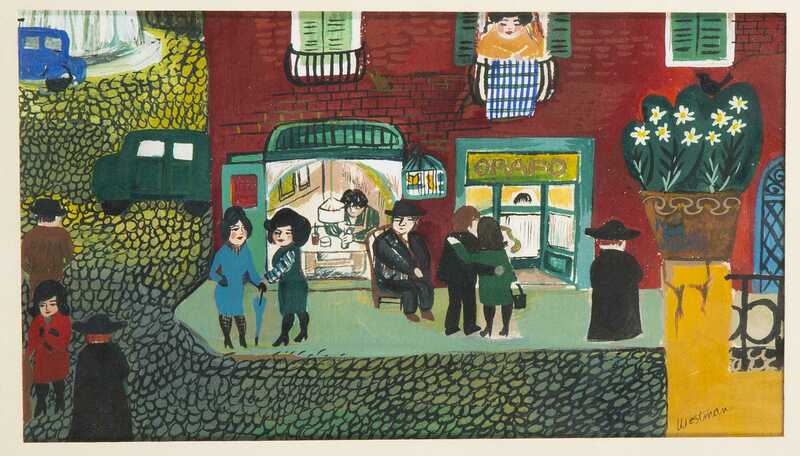 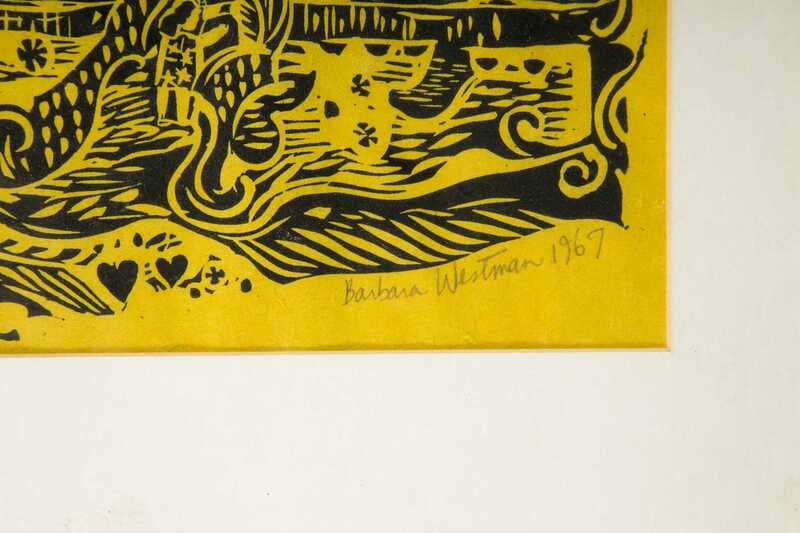 C) Black woodblock on yellow paper, "2/25 Dutch Night Scene" signed lower right "Barbara Westman 1967", matted and framed under glass, 12 1/4" x 8 5/8" sight. 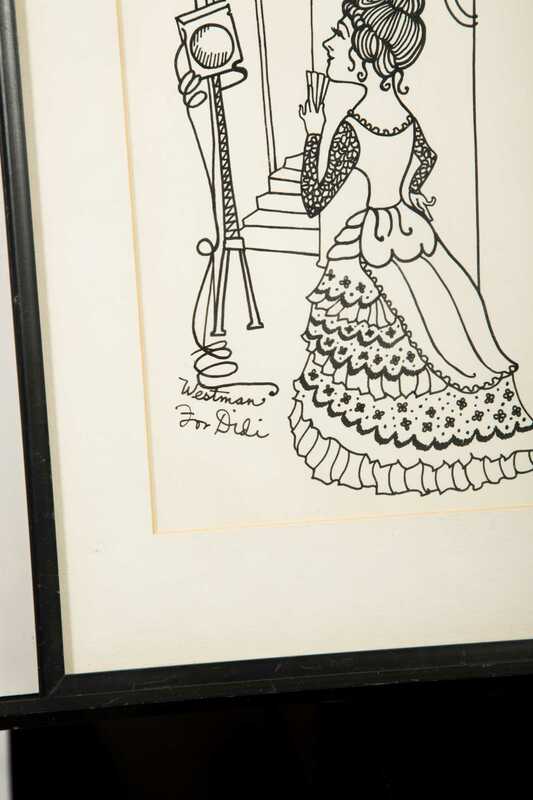 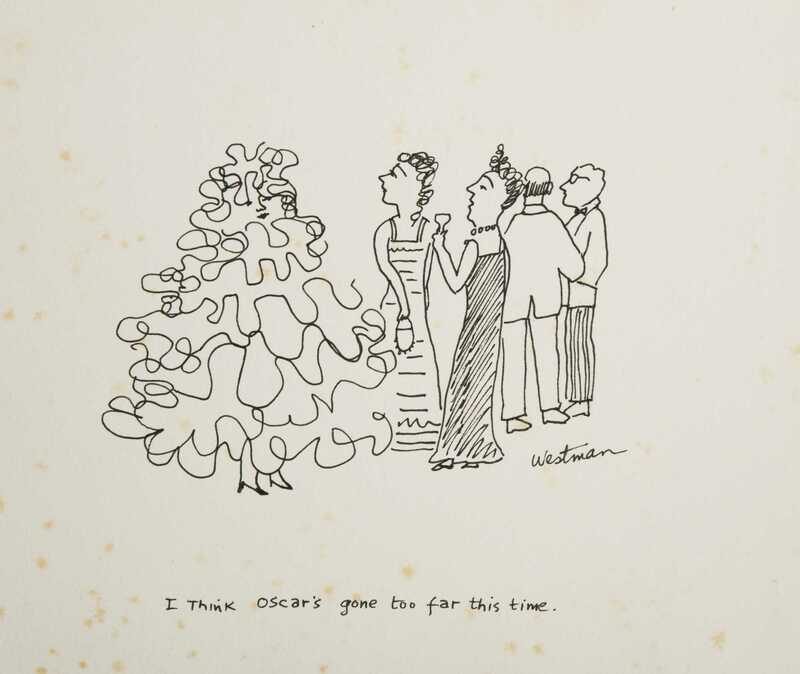 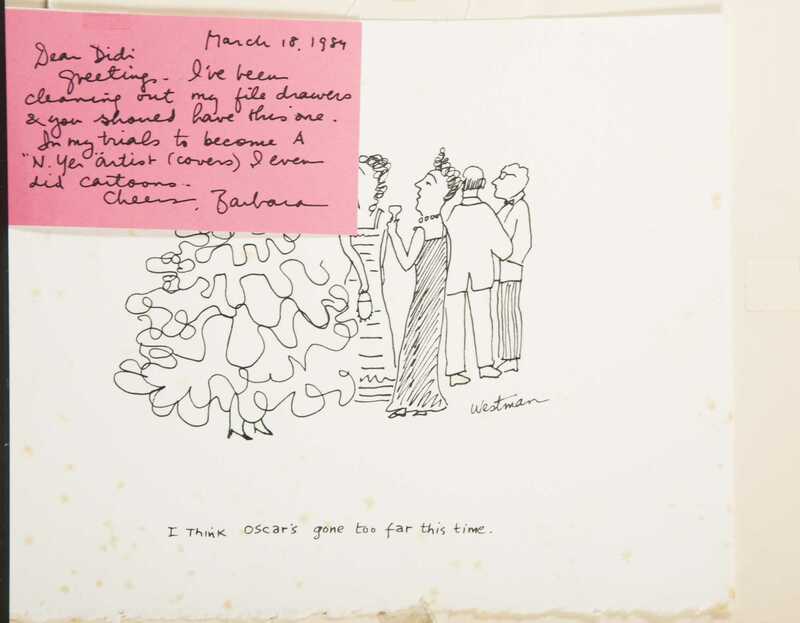 D) Ink drawing of a woman, signed and inscribed "Westman, For Didi", matted and framed under glass, 6 3/8" x 10" sight. 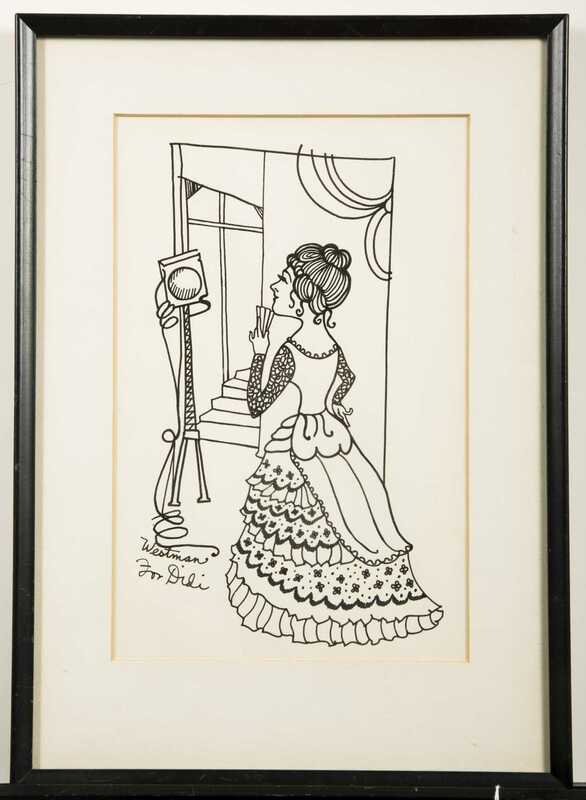 E) Loose ink cartoon signed lower right, "Westman" with personalized note attached, some foxing, 10 1/4" x 8 3/4" paper size.